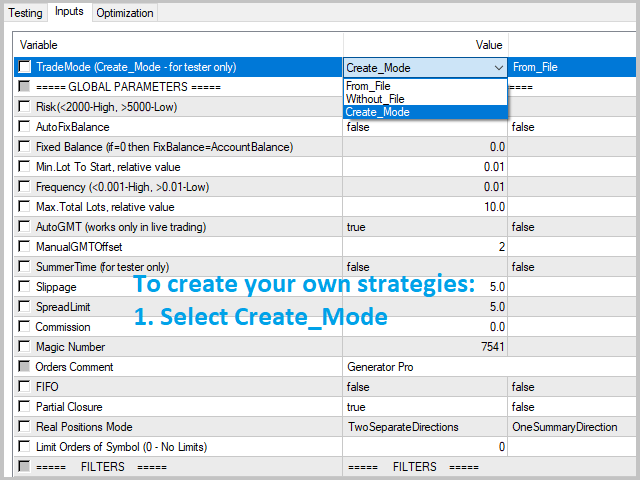 Generator Pro allows you to create strategies, consisting of optimized virtual strategies (one to hundreds of thousands) based on averaging. 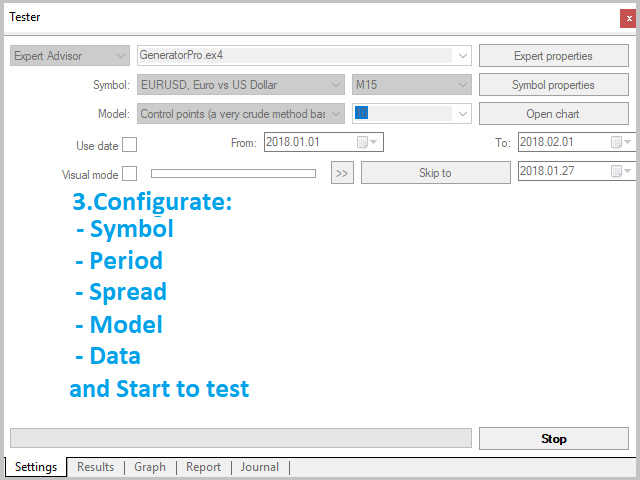 You can either create your own strategies or use the existing ones here https://www.mql5.com/en/blogs/post/713893. What you can do with this tool? Global recovery can be used. The M15 period is recommended. 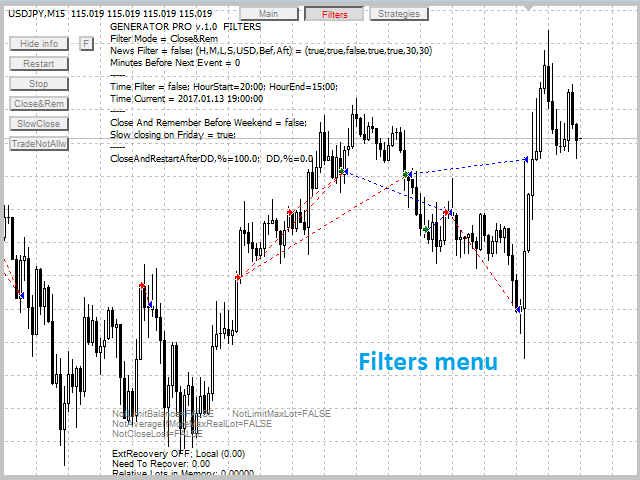 pLimitOnReverse;... - limit on the reversal of positions. 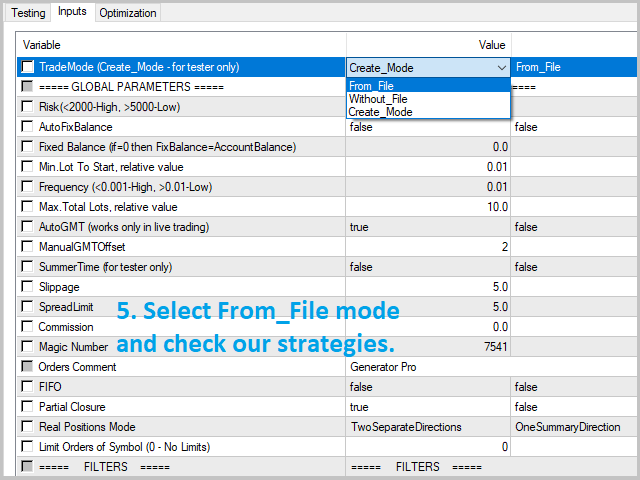 7.3) TO USE IN OPTIMIZATION. I bought this EA due to very stable results from HPA EA. The results are so far so good. The support from developer is always fast and great. Keep it up and Cheers! 14/06: After more than one month, almost all my other EAs (Break out, momentum, Night Scalper EAs), are losing huge money, during last few weeks. But, this EA is standing out and profitable. It takes losses from time to time, and recovered very quickly. Use the EA for few weeks and I completely forget about it, because its DD is very low, but profitable. With a combined strategies (HP and GP combined), the DD is lower with higher profit than a single strategy, even though HP is an excellence product. Removed mistakenly added not actibe parameters pReverseChance, pReverseChance2, pReverseChanceinc. There is only one global ReverseChance parameter. 1. Added GlobalRecovery2019. Enabled by default. 1) Fixed the Extrarecovery function for the Global variable. 2) Modified the NormalizeLots function, set a limit on the maximum lot size. 3) Modified the NotAverageInMoreMaxRealLots function. 4) Modified the NotLimitMaxLots function, set a limit on the maximum lot size. 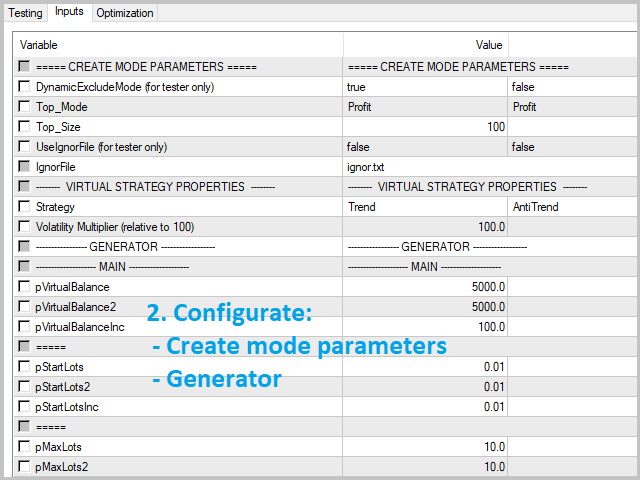 5) Modified the NotLimitMaxBalance function, set a limit on the maximum balance size. 6) Added the CloseOnly button. 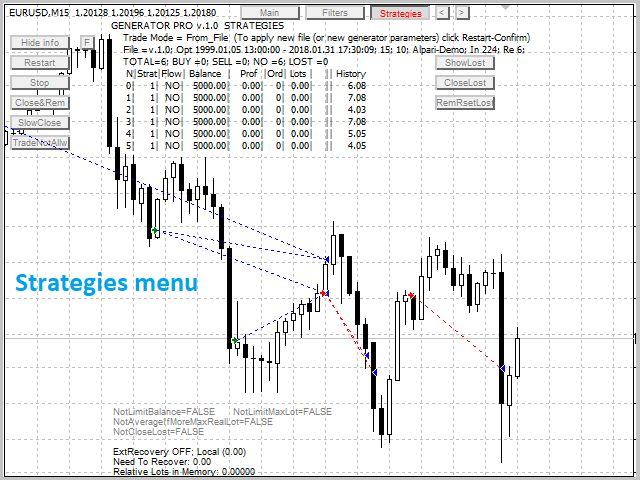 In this mode, the virtual strategies are only closed, without addition of new positions. 7) Added the CloseOnly mode for displaying the news to the Filters tab. 8) Changed the default settings ManualGMTOffset=3, SummerTime=true. 9) Added new parameters pAllowReduceLotsFrom=0, pAllowReduceLotsFrom2=0, pAllowReduceLotsFromInc=0.1 - allow decreasing the lots using the pReduceLotsAfterRevers parameter starting from the number of lots greater than pAllowReduceLotsFrom. - Fixed calculation when NotAverageIfMoreMaxRealLot=true. 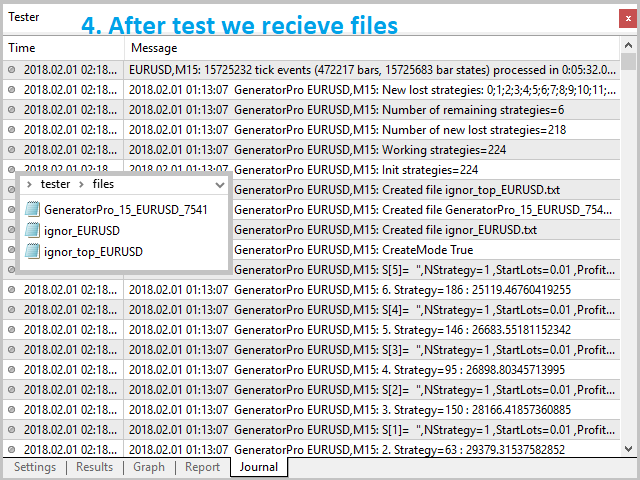 - Fixed displaying NeedToRecover information for TwoSeparatePositions. 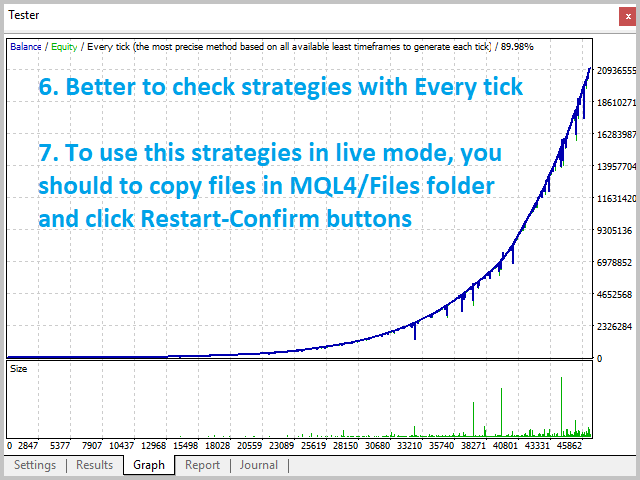 - Changed the AutoRestart option, it now also works for the NotAverageIfMoreMaxRealLot=true option. - NotLimitBalance - fixed, now if TRUE, it will increase 2 times in case of virtual balance shortage. - Added NewsFilterMode=CloseOnly. 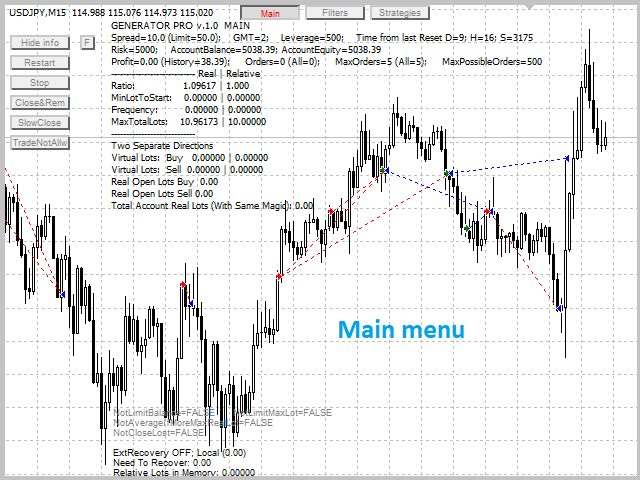 In this mode, the EA will work only in the mode of closing virtual positions.